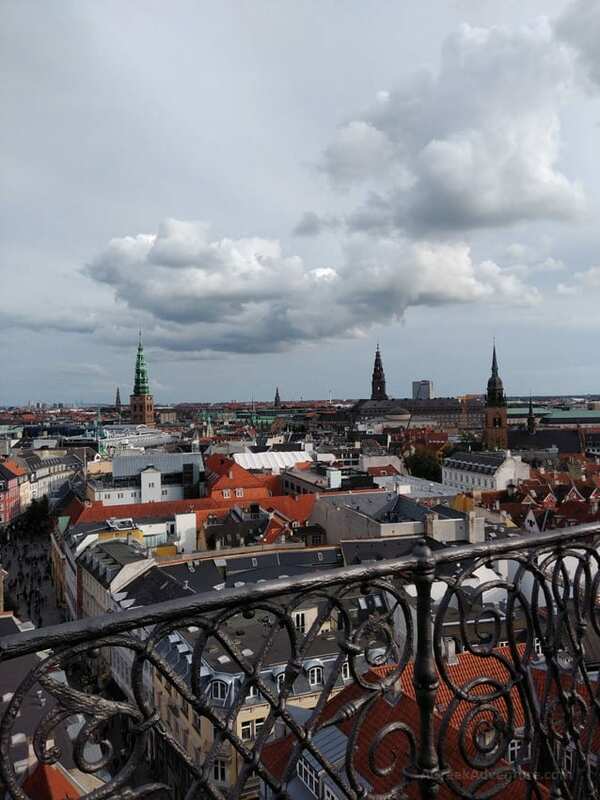 We can't fit 5 days in Copenhagen in one post. Read along! 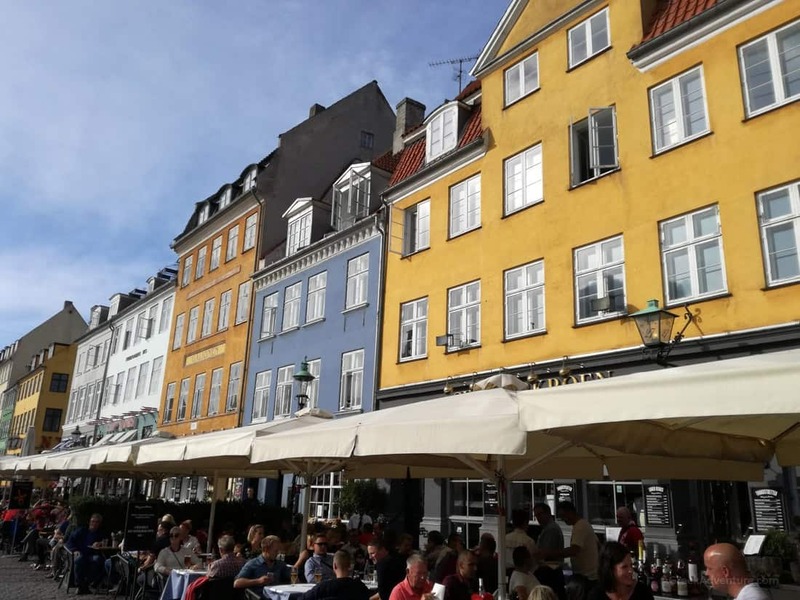 We were extremely lucky to visit Copenhagen Denmark at the end of August. 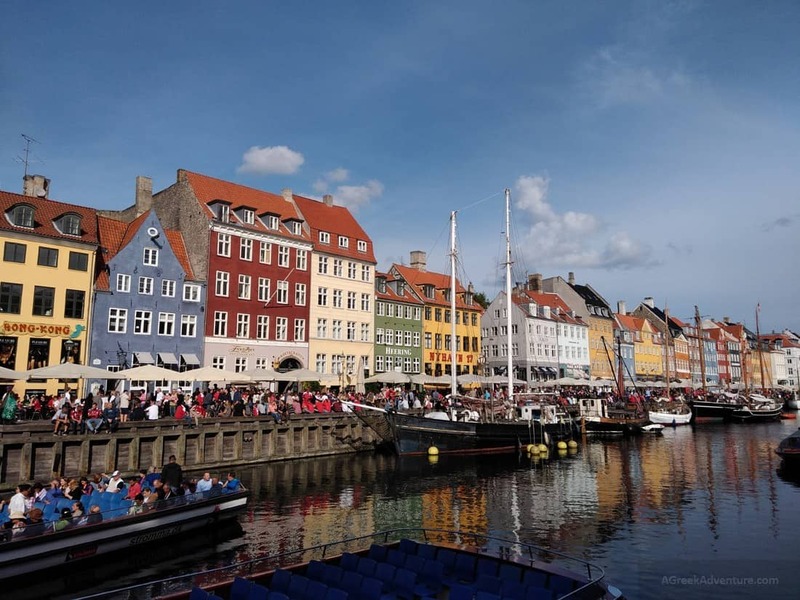 Copenhagen is one of those European cities where big spaces, parks and lakes shout: Do Relax! Seems the whole city is build around the concept of “what to do after work”. Weather was not too hot, neither too cold. It was a bit chilly during night time, but not too much. In a few words, it was the perfect weather for walking around for hours. Cost of living is not that low but we booked an Airbnb apartment that was really big, clean, with perfect view. 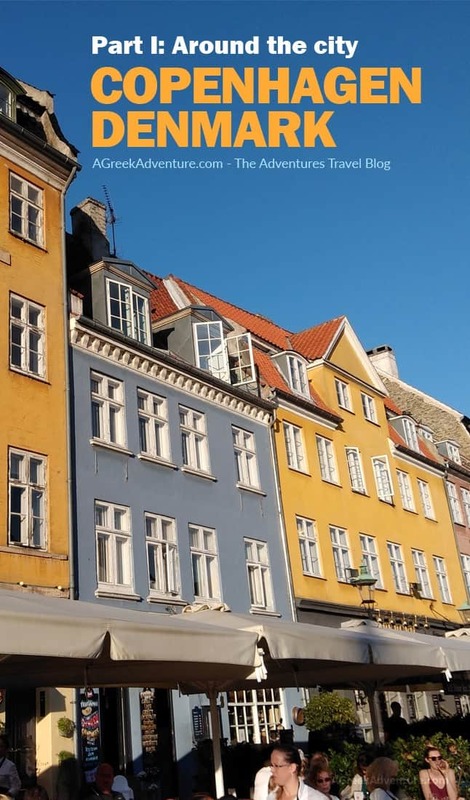 Even coffee is expensive (around 7 euro for a regular cappuccino), yet salaries in Denmark are pretty high (even basic salary) so prices follow along. 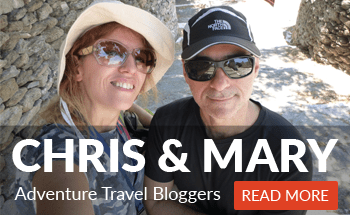 We visited museums, parks, street food markets, cafes, iconic neighborhoods & towers. Here are snapshots from our experience there. 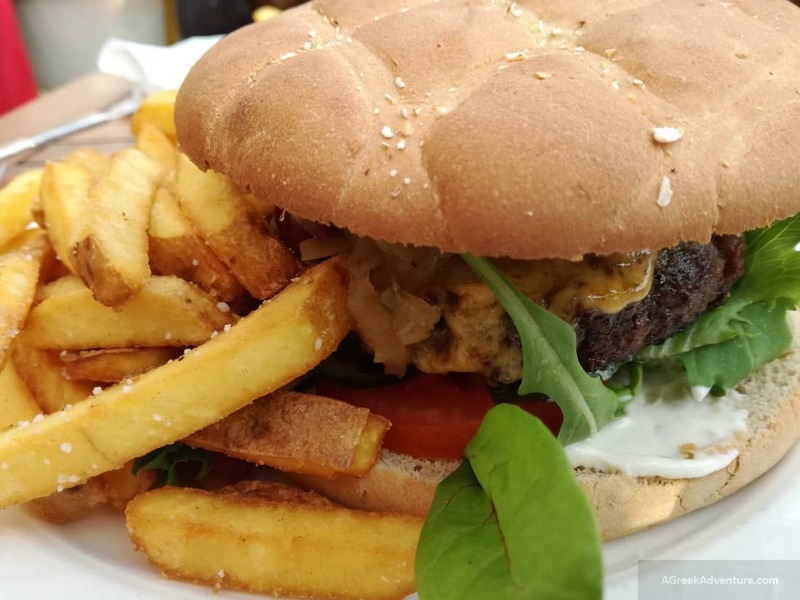 Is hamburger the “traditional” food of Copenhagen Denmark? This kind of hamburger seemed to be the standard food everywhere (except from the varieties in the food market). 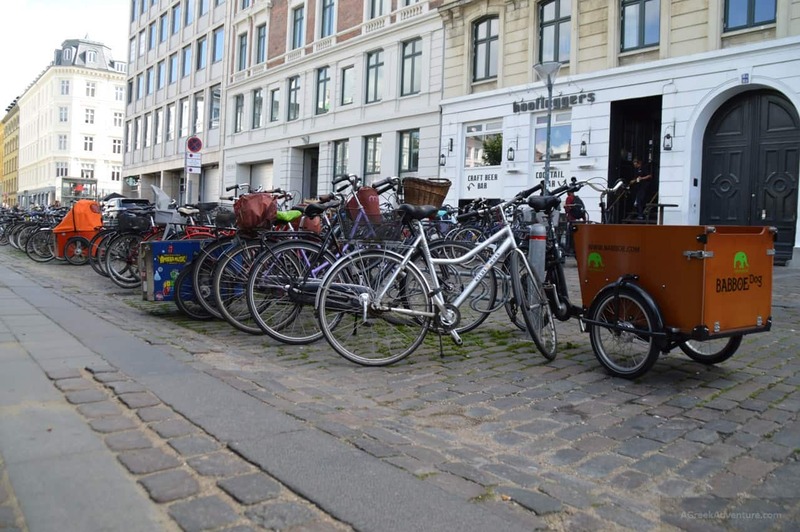 Seemed like everyone in Copenhagen would eat only that one food. Really weird. If you think it looks big due to the photo close up, think again. 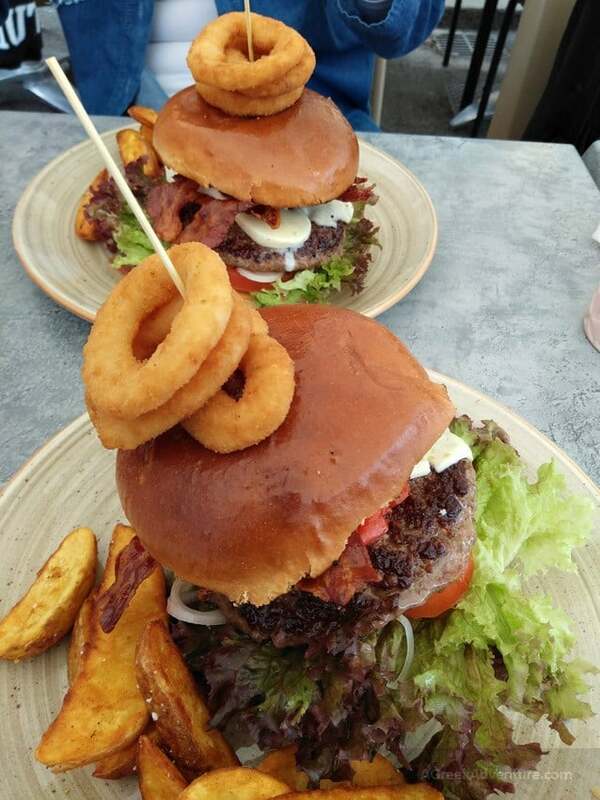 It was really big and included brioche bun, 200g beef, salad, tomatoes, onions, mozzarella, bacon, aioli and pesto. It was served with amazing (really amazing) fries and dressing. Perhaps a little bit more “oily” for my taste. 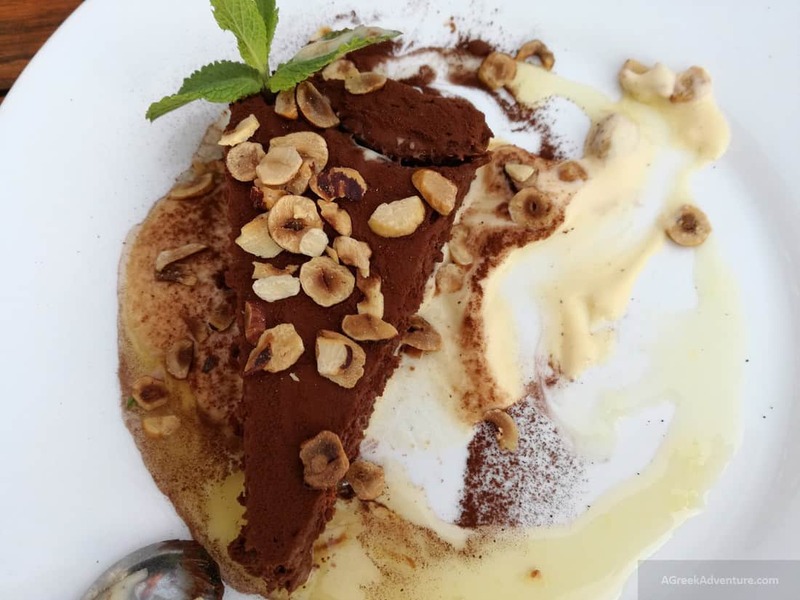 We that one above at Cafe Katz while the one below in a restaurant at Nyhavn, along with the following -chocolate- dessert. 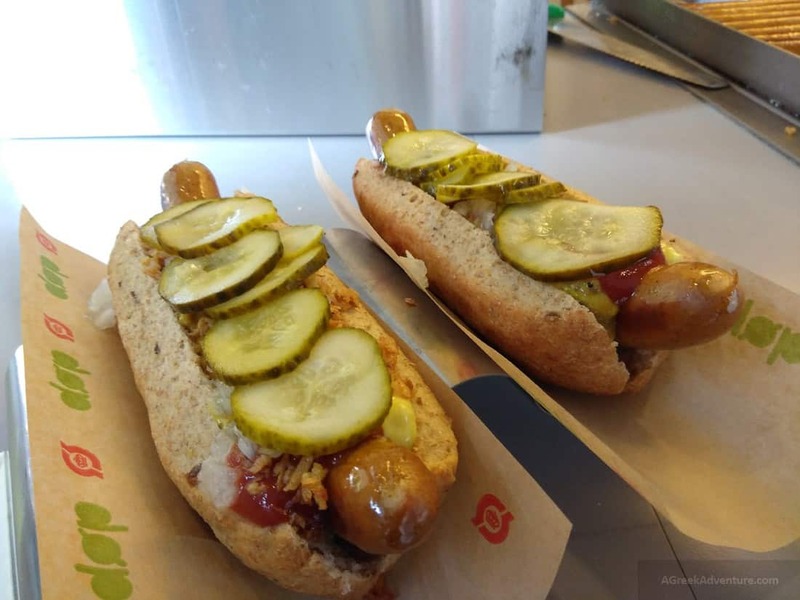 Hot dogs play another great role in street and restaurant food in Copenhagen. 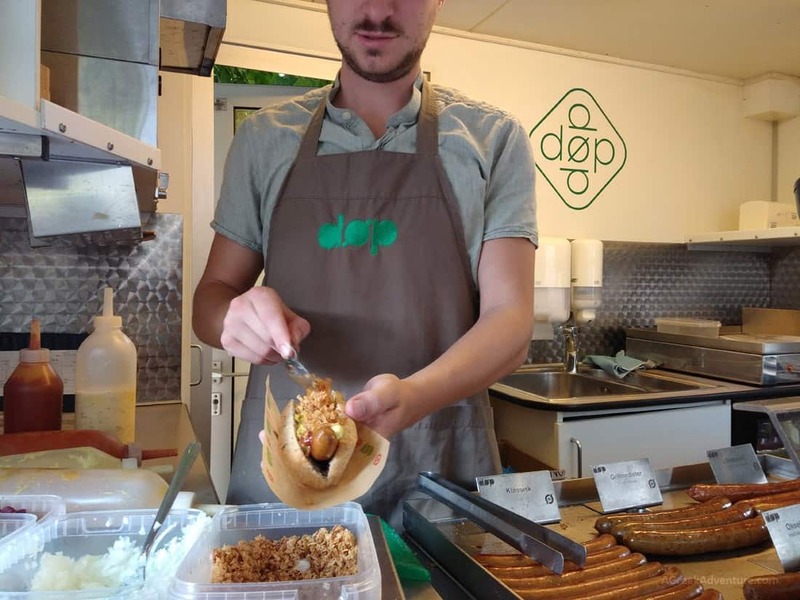 You will meet lots and lots of mobile canteens selling them in many different flavors and combinations, with different toppings. 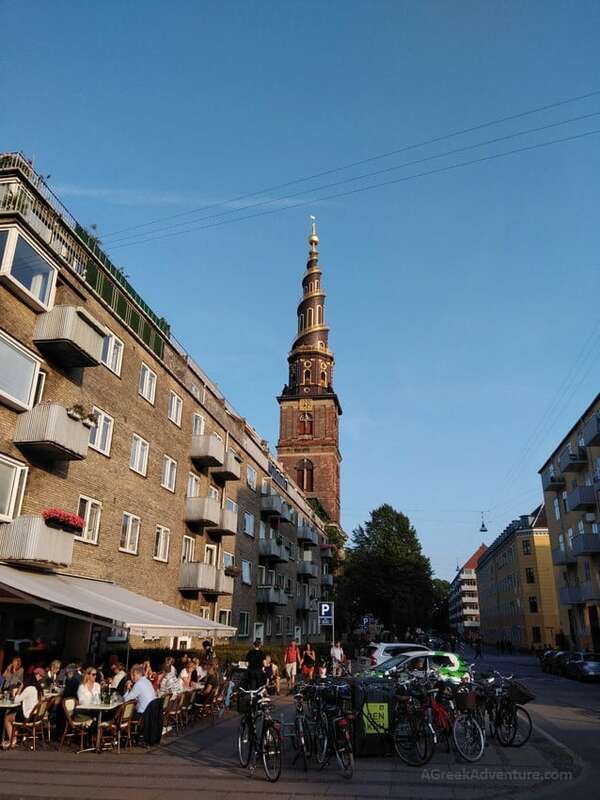 If you ever checked Copenhagen then we are sure that you have bumped onto such photos as the one below. That is the Nyhavn road. Two things: lots of colorful houses and one small restaurant/bar next to another. It is very beautiful and is one of the most popular locations near the city center. Tons of tourists and locals visit it. 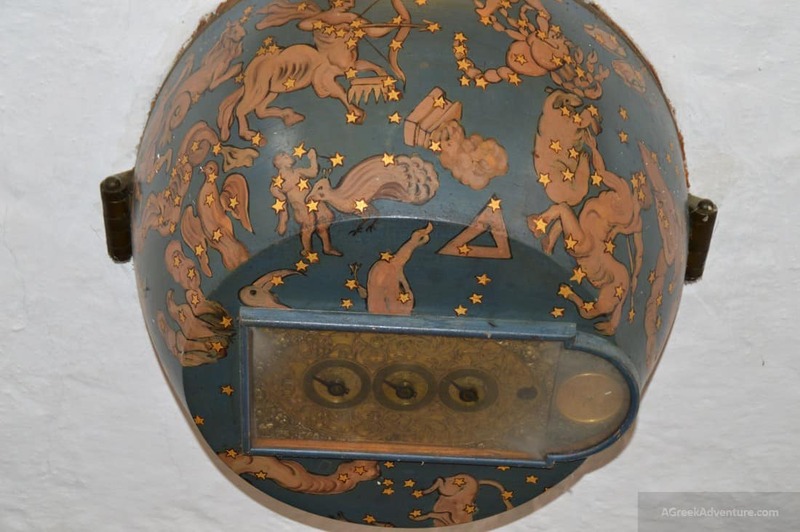 Maybe that is the reason this art installation was placed opposite to Nyhavn colorful houses. The installation is a setting of more than 3500 life jackets gathered from the shores of the Greek island of Lesvos, where refugees fleeing from Turkey landed. The art installation is the work of the artist Ai WeiWei and is called Soleil Levant and was published until October 1st, 2017. Soleil Levant was a painting of Claude Monet (Impression, Soleil Levant). 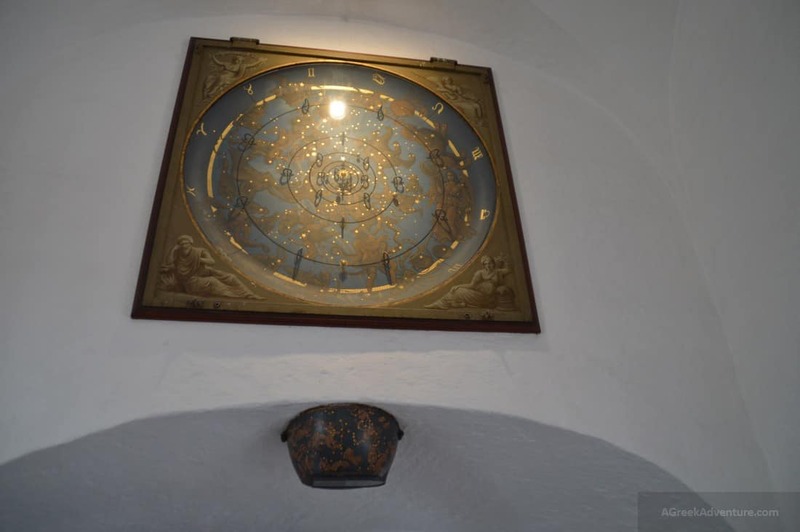 Located in the city old town, it offers 2 interesting things: The view and the mysterious astronomical clock. 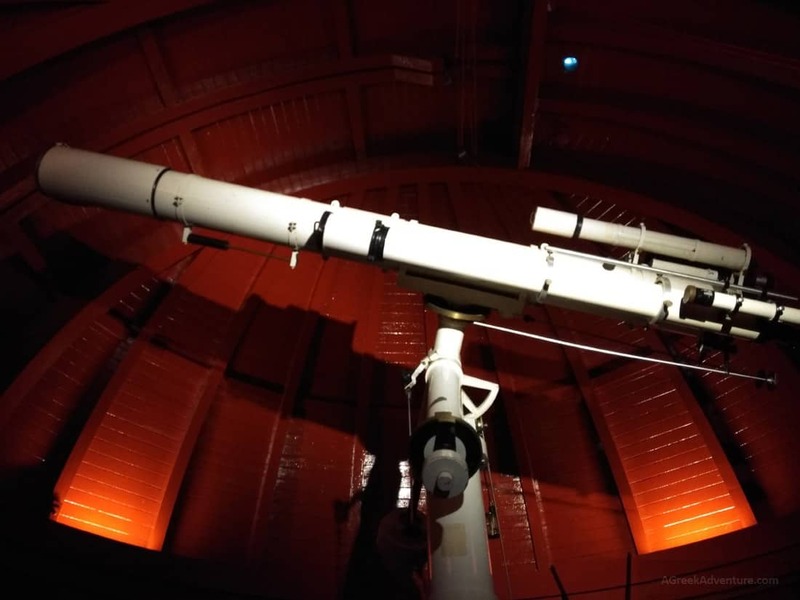 It was build as an astronomical observatory by Christian IV during the 17th century. 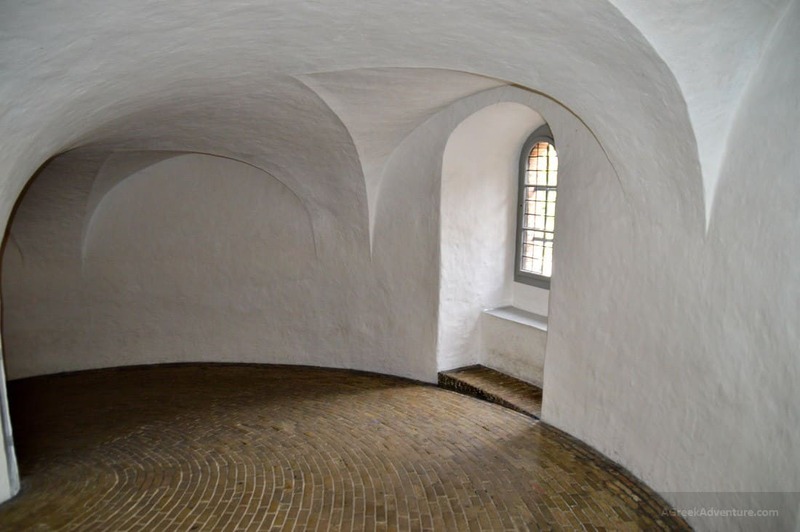 A spiral ramp (no steps) allows visitors to walk to the top to admire the surrounding view. 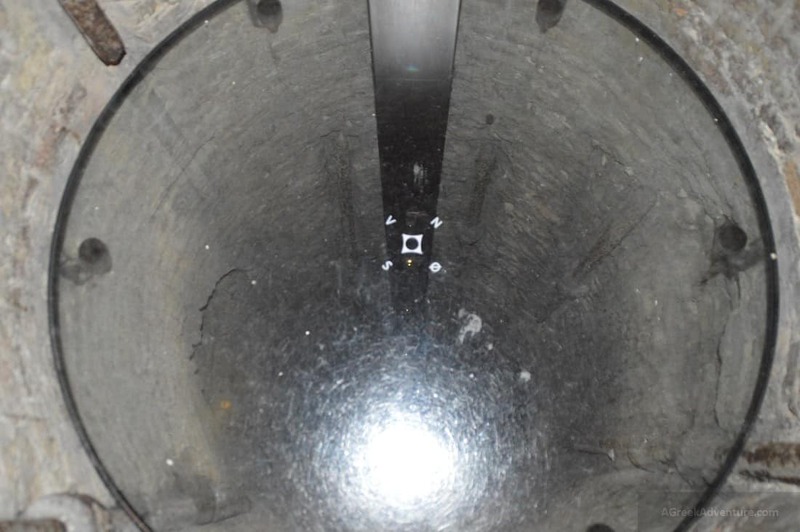 The core of the tower is hollow and one can enter a small chamber to see that. 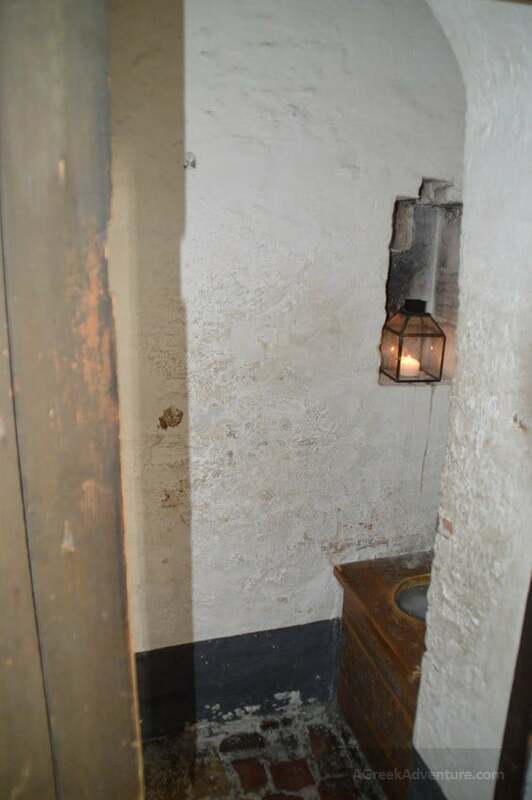 There is also… a toilet exhibited as it was back then, with a wooden seat. 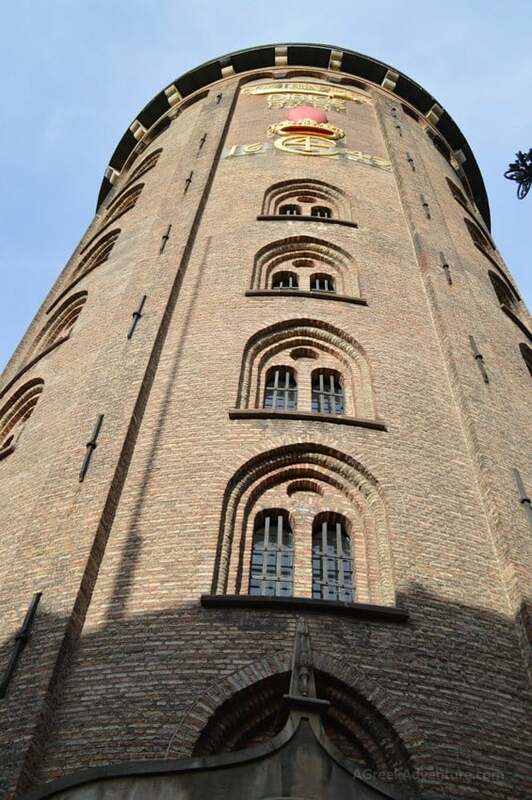 There was no drainage system back then, so “everything” ended up at the bottom of the hollow core of the tower. We will leave that here to think it a little bit. 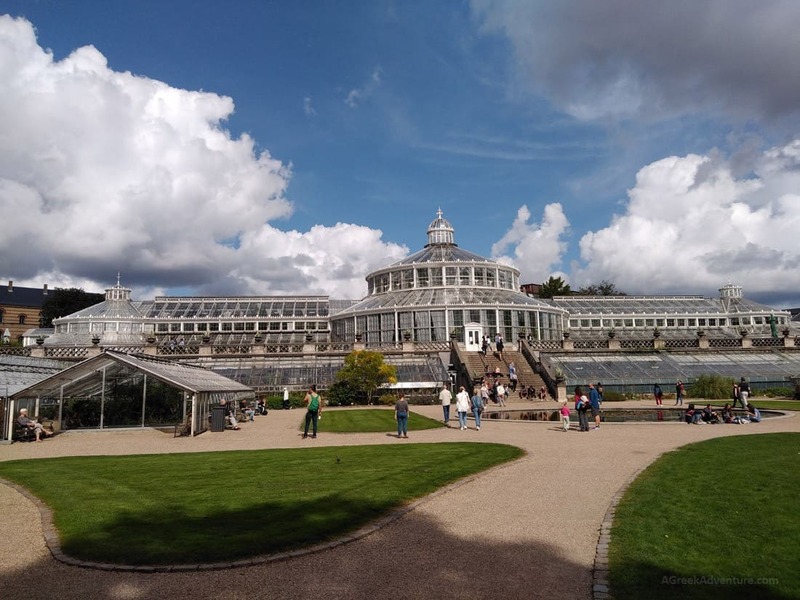 A really big botanical garden and botanical museum. 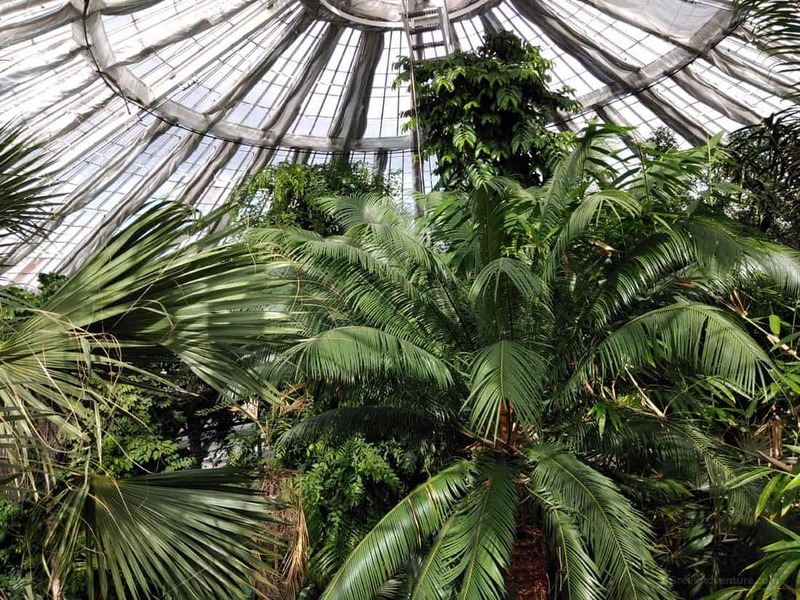 Buildings are actually greenhouses, divided according to what kind of plantation they host. 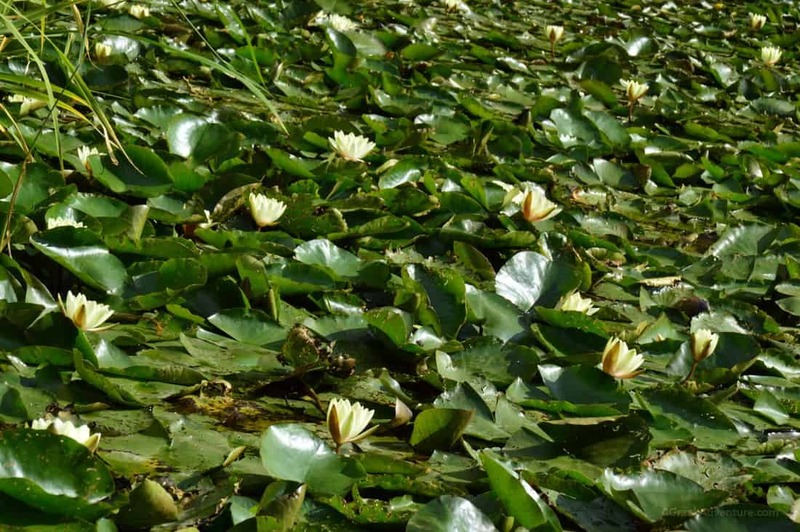 Around the area are lots of lakes and small ecosystems where different plantation is hosted and grown. There are lakes and small rivers and many benches to just stop and relax. Hundreds little labels show you what each plant is. 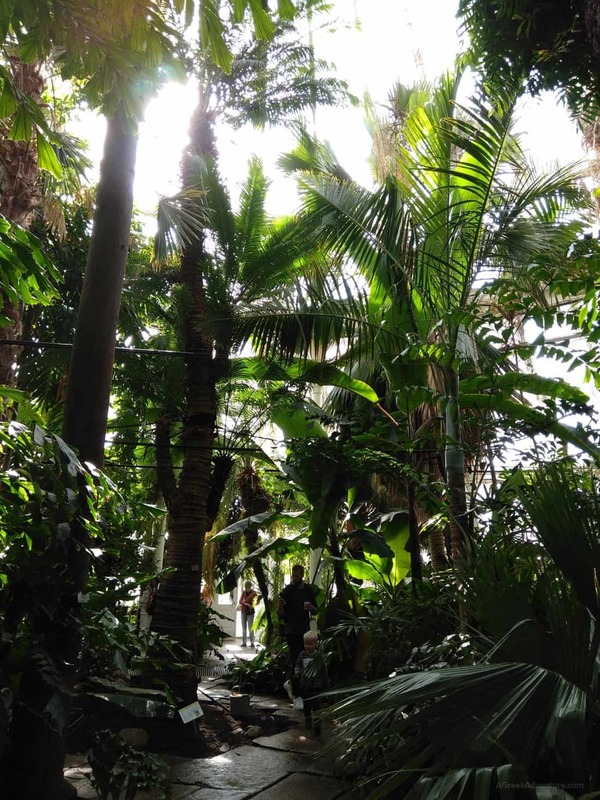 Apart from strolling around in the gardens and lakes, we entered into the tropical greenhouse. Almost immediately it felt like being in a tropical jungle, with all the humidity and heat. You can even climb at the top near the roof and walk around, if you can stand the heat. 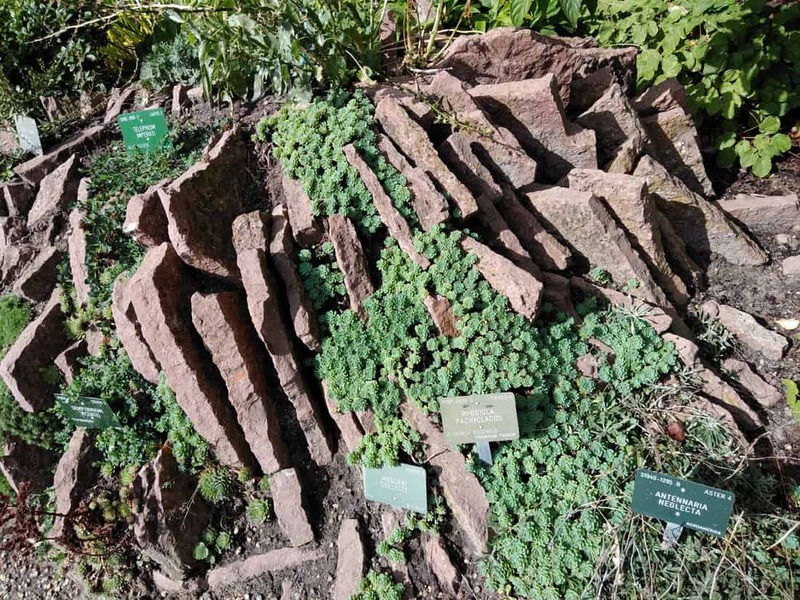 Very close to the botanical garden is the Geology museum. That is -maybe- on of the most popular iconic things with which you grew up as a kid. Based on the fairy tale of Hans Christian Andersen, this sculpture is one of the most popular in the world. By the way… It is really really small. 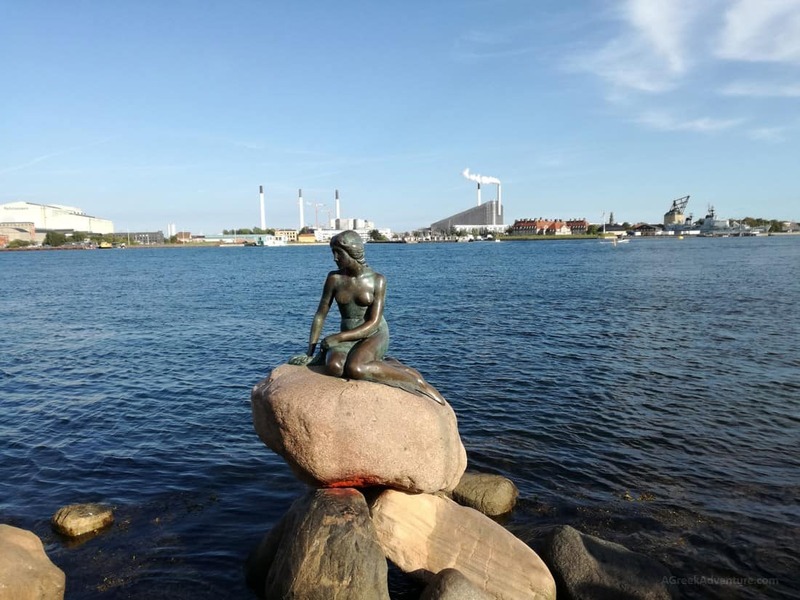 Copenhagen is a city by the Baltic sea. There are many canals and people use them for kayaking. 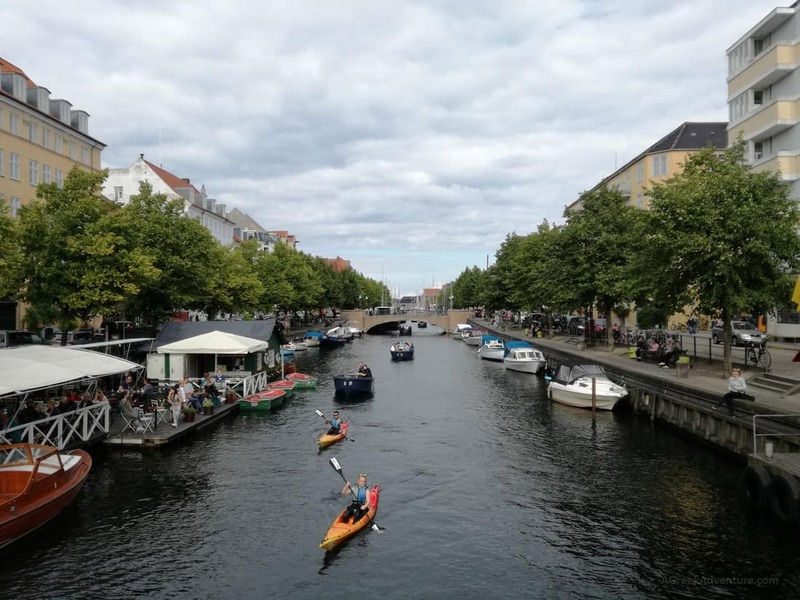 They also rent small solar powered boats where they have their lunch or breakfast on them, as they slowly slide through the different areas of Copenhagen. 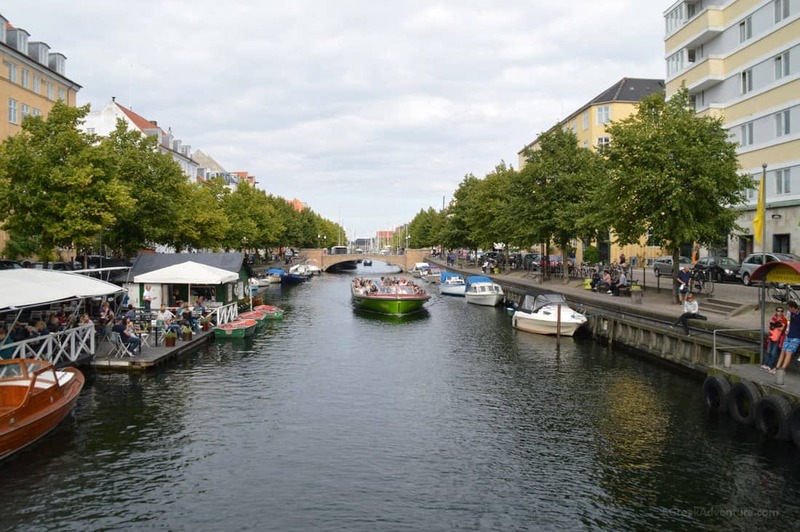 There are tourist flat boats who take them to different areas of Copenhagen. That seems a lazy way to explore the city. We thought about taking such (1 hour ride and there a couple of hop on/off locations) but didn’t eventually, since you are sitting really lower than street level and photos will eventually picture nothing. 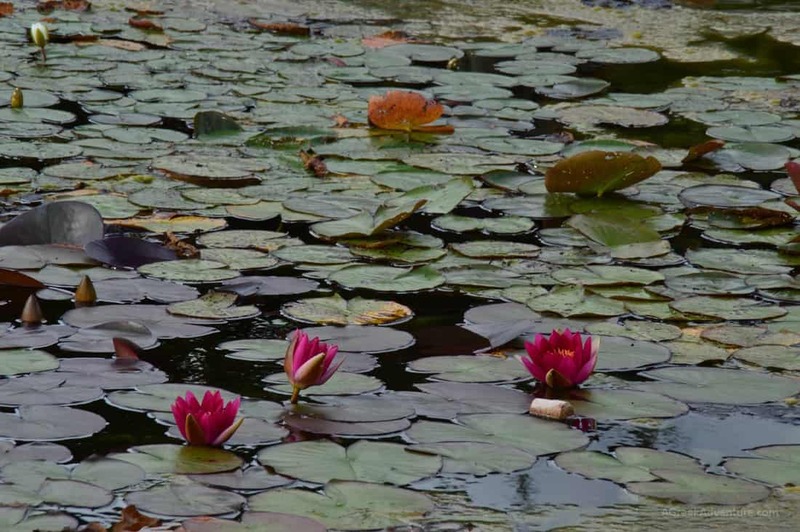 But they are nice and picturesque to look at. Bicycles here are used instead of motorbikes and cars. We saw very few cars the whole week we were in Copenhagen. People use them everywhere: for shopping, going to restaurants or to bars at night, to go to school and in general for any reason that involves transportation. 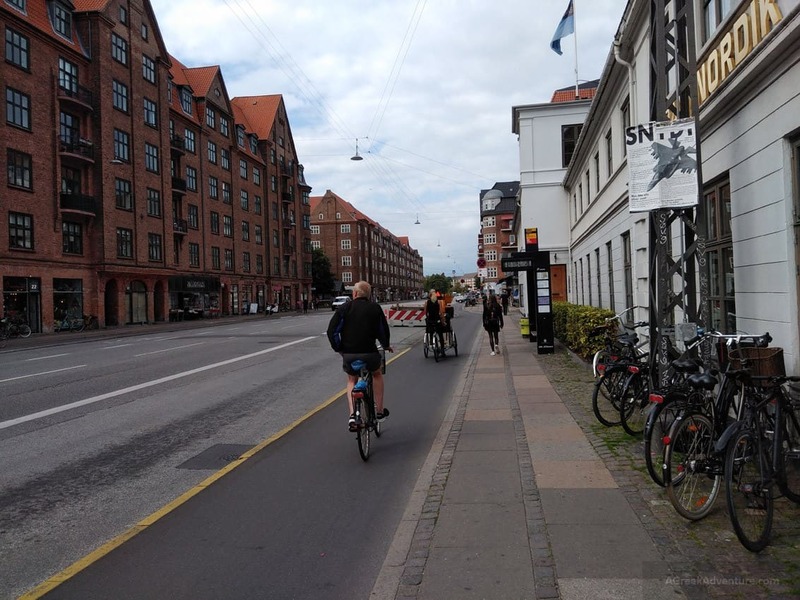 During early morning I watched hundreds using the bicycle lanes moving up and down. 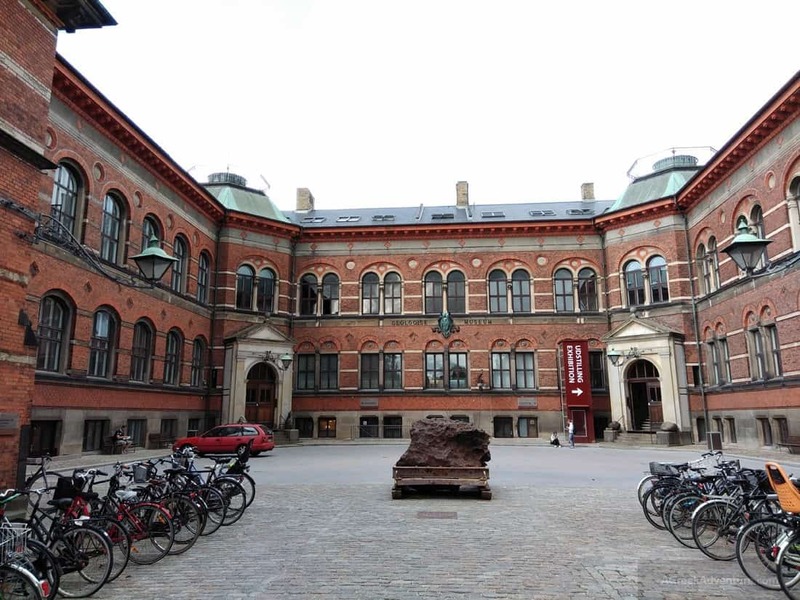 Well, that was just part one of our experiences in Copenhagen Denmark. We hope you liked it. So subscribe the upcoming parts.